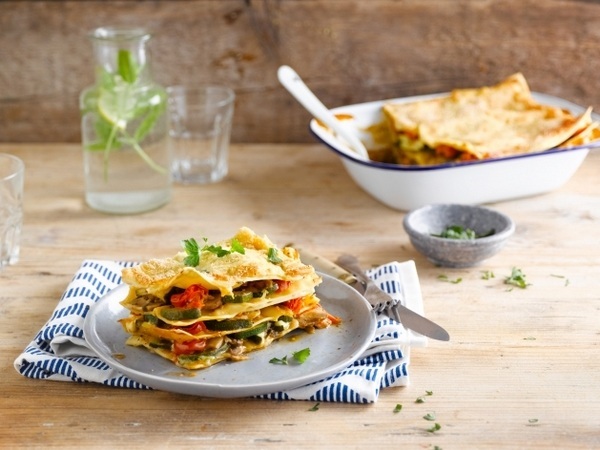 We have selected some of the most delicious vegetarian lasagna recipes. In addition we shall give you useful tips how to make pasta dough at home. 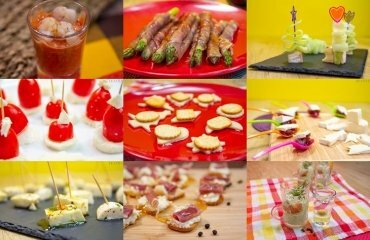 Everyone knows that lasagna is a rich and exceptionally delicious meal and fans of Italian cuisine are aware that there are numerous ways to cook lasagna. 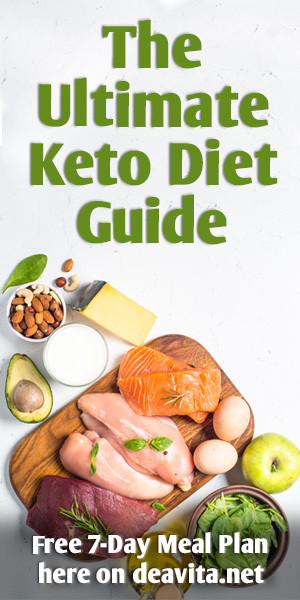 The common ingredient in all the recipes is the pasta dough and recipes vary from one region to another and the dish may contain meats, cheese, different sauces and vegetables. 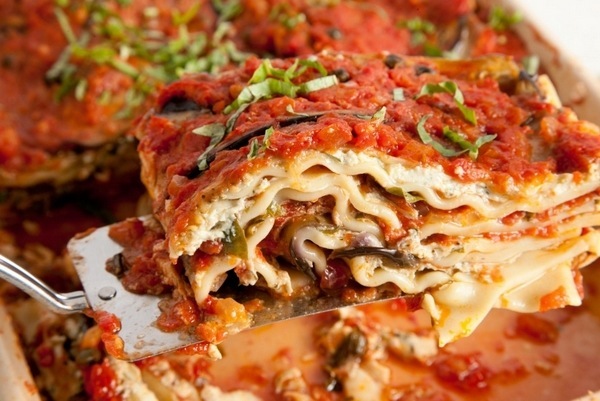 Lasagna, along with pasta and pizza, is one of the symbols of Italian cuisine. 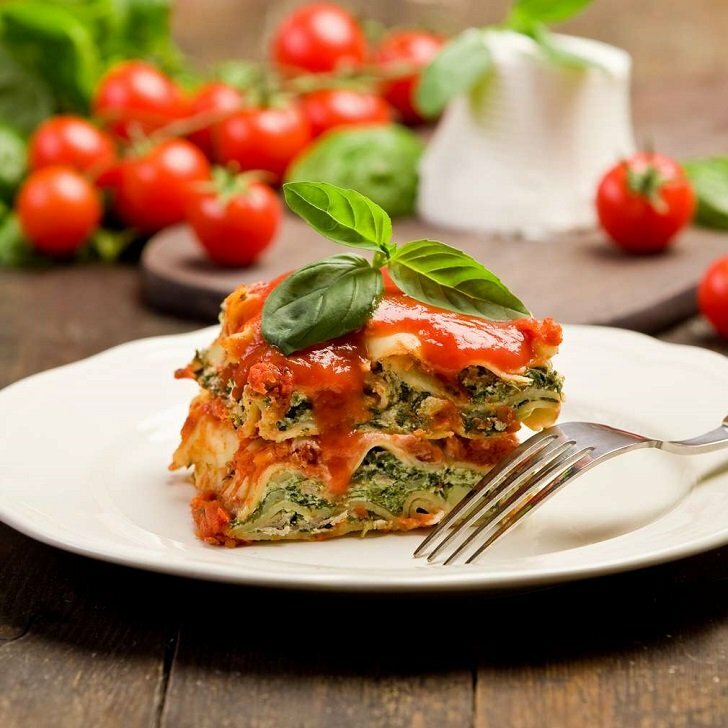 The first dishes, called “lasagna”, were prepared in the Emilia-Romagna region, but later this dish became popular not only in Italy but throughout the world. 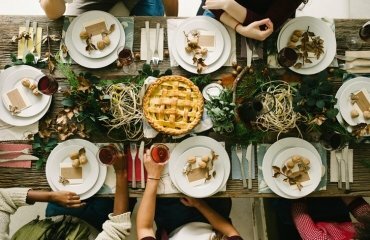 The first lasagna was prepared in special ovens and in unpainted trays, in which layers of thin dough were mixed with minced meat and Parmesan cheese. There are people looking for “the original lasagna recipe”, but even in Italy one would hardly find “the original” since the variations are numerous. 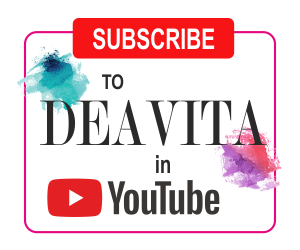 Vegetarian lasagna recipes – how to make pasta dough at home? 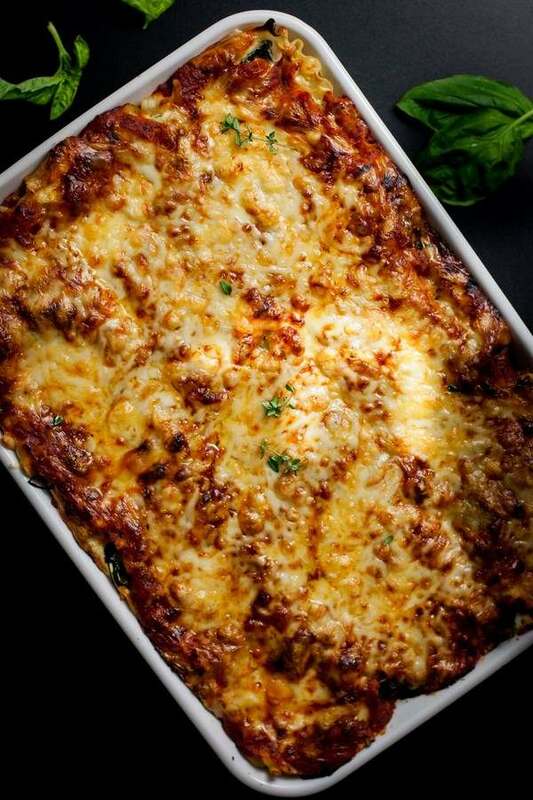 The first step to cooking an amazing lasagna dish is the dough. True, you can buy dry pasta sheets in almost any supermarket but homemade pasta is always the star of the show. Thin, freshly made pasta sheets will make your dish really special. 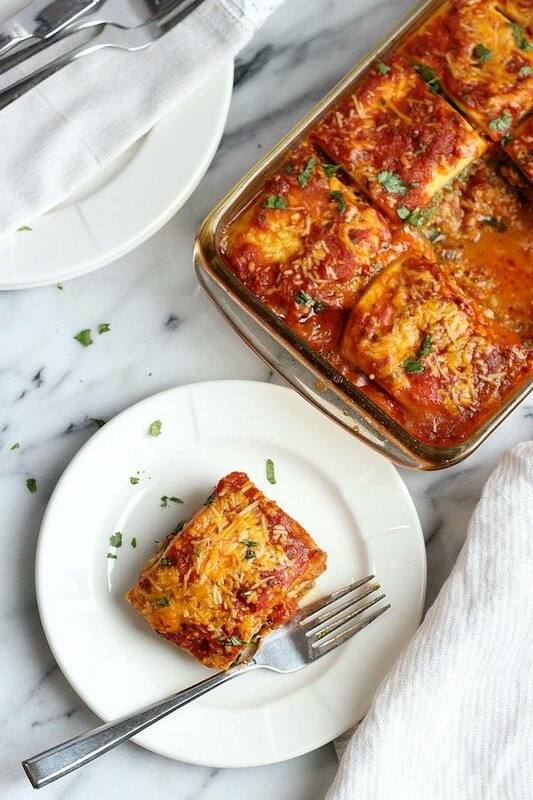 Lasagna sheets are made, just like other types of pasta, from two ingredients – flour and eggs. 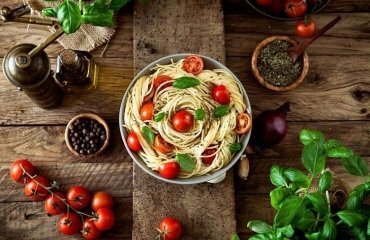 There are different types of flour on the market which are suitable for making pasta. You can choose between semolina flour, all purpose flower or “farina integrale” which is whole wheat flour. Most people prefer double zero or 00 flour which is ideal for homemade pasta. Measure your flower, pour it onto your working surface and make a well. Add a pinch of salt. Add the eggs into the well. 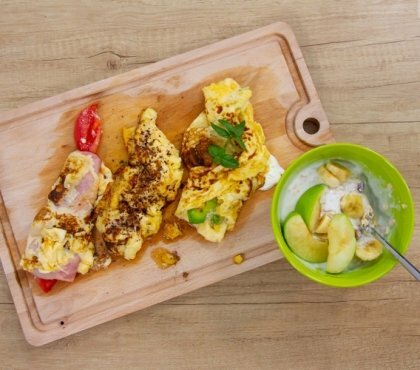 With a fork or using your fingertips, start mixing the flour into the eggs. Gradually add flour until the dough is wet and sticky, but holding together as a single mass. Knead the dough until it is smooth and elastic. In case your dough is too sticky, you can add some more flour. When your pasta dough is ready, wrap it tightly in plastic and let it rest for about 30 minutes. Roll the dough until thin. 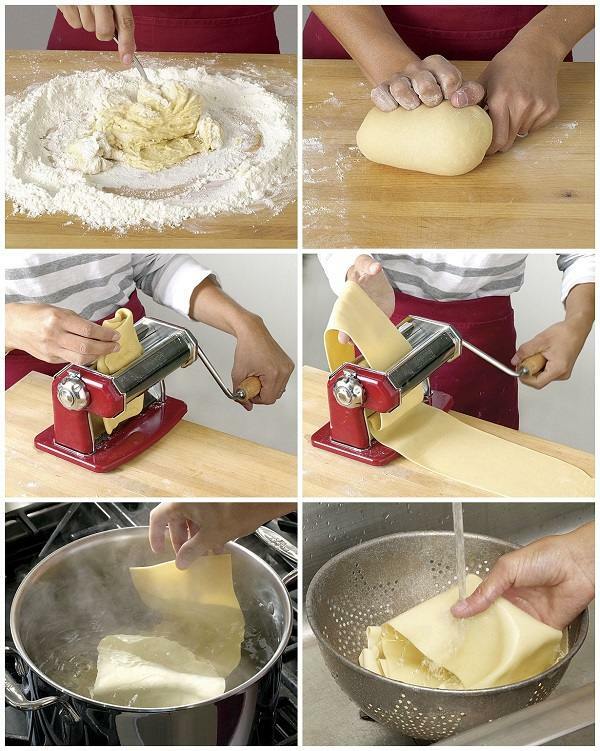 You can do that with a pasta machine or using a roller. If you are using a machine, start with the widest setting. Roll the dough narrowing the setting until you have a thickness of about 1/16 inch (2 mm). Cover up the pasta with a kitchen towel or plastic wrap to keep it from drying out. Cut the pasta sheets into sections. Bring a large pot of salted water (at least 1 tbs. salt) to a boil over high heat. 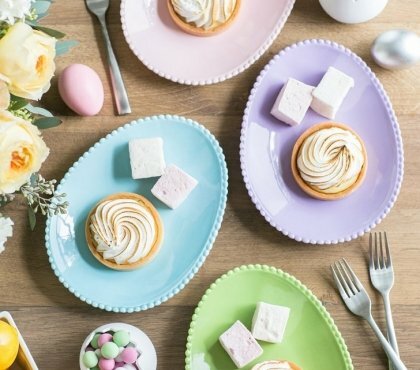 Prepare two baking sheets – line them with clean kitchen towels and a large bowl of cold water. Add three or four lasagna sheets into the boiling water and cook for about 30 seconds. Use a large wire skimmer and transfer the sheets into the ice water to stop the cooking process. Repeat with the remaining sheets. Drain your lasagna sheets and rinse under cold water and layer them between clean towels (or parchment). 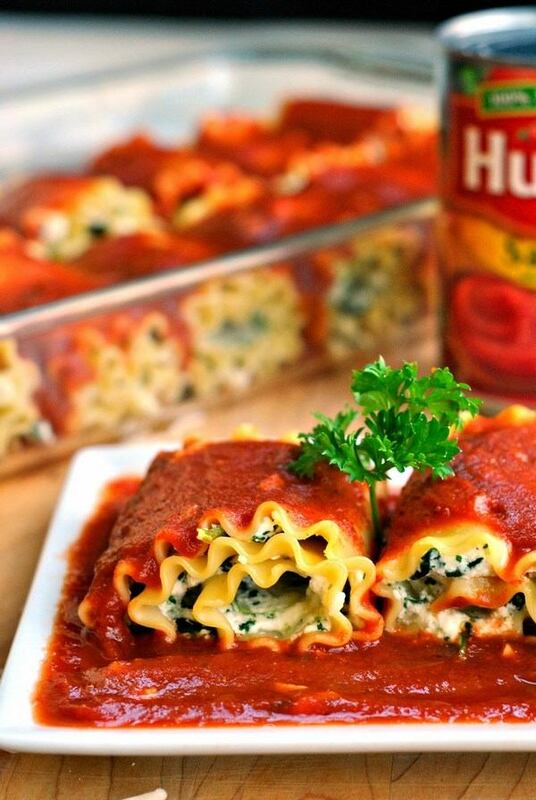 Set them aside until you are ready to assemble your lasagna. 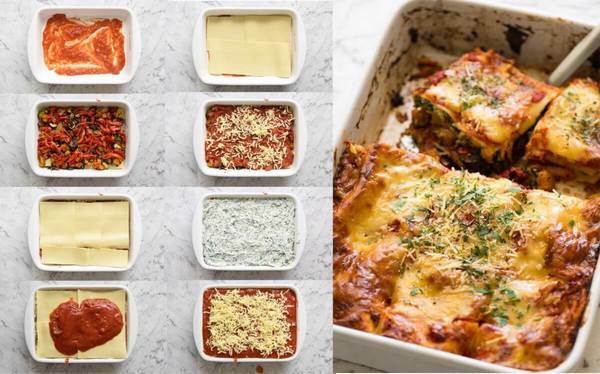 If you bought dry sheets to prepare lasagna at home, carefully read the instructions on the package, as some manufacturers recommend not to boil the sheets, but simply soak them in water – it all depends on the composition and method of preparing the dough. 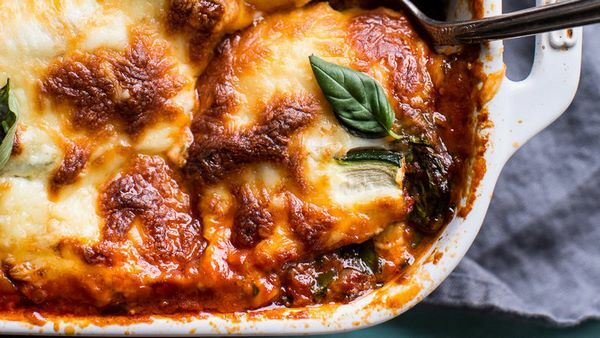 The perfect cheese for lasagna is, of course, Parmesan, which is sometimes combined with mozzarella or ricotta. A combination of Parmesan with these cheeses gives the dish tenderness, juiciness, piquant taste and an incredible aroma. 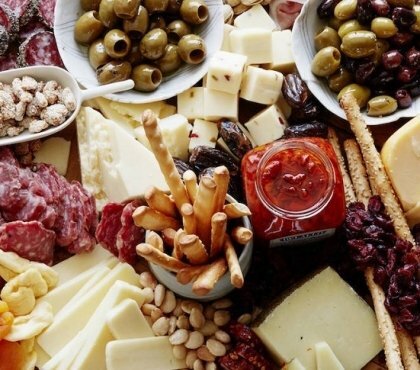 Of course, you should not limit yourself to these cheese varieties, you can use any hard cheeses with a rich flavor and soft cheeses with a delicate taste. 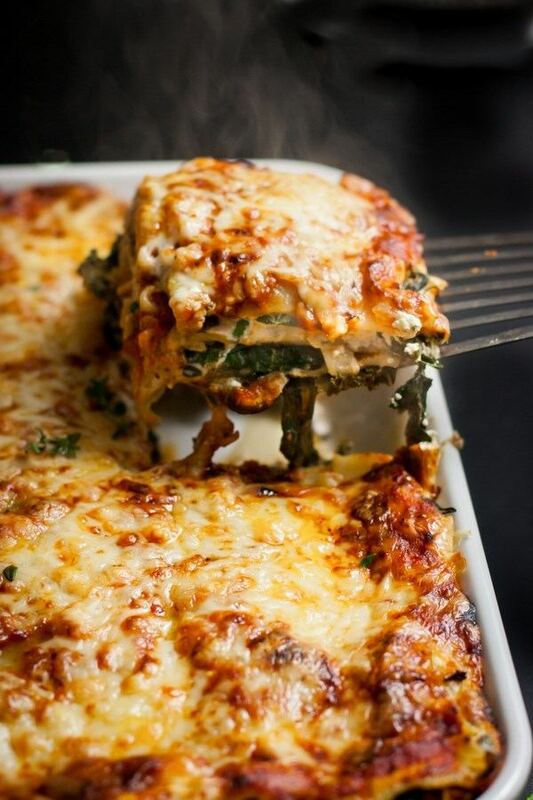 Which sauce is better for vegetarian lasagna? 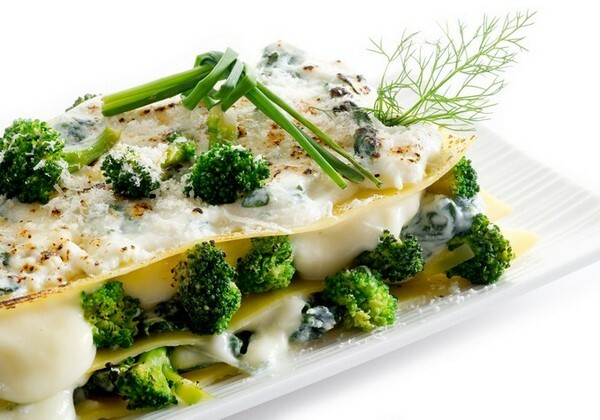 One of the classic sauces for lasagna is Bechamel and it is cooked very easily. 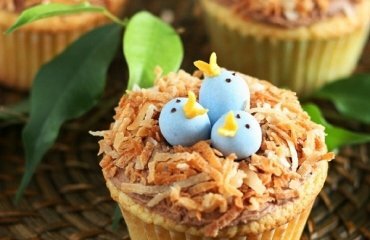 All you need is 50 g. butter and 50 g. flour. Add the flour to the hot butter, fry for 2 minutes and add 500 ml of milk. Cook until the sauce thickens, then season the sauce with salt, pepper and nutmeg. Stir the sauce until smooth. Another classic sauce is tomato sauce. You can add garlic, spices and herbs to your liking to the tomato sauce. 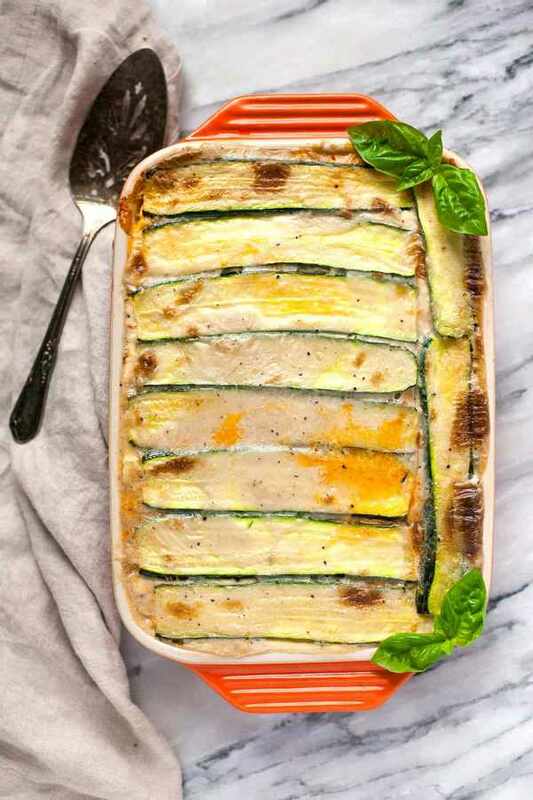 Vegetarian lasagna with zucchini is a simple and healthy recipe which you can cook for about an hour. Wash and dice the onion, garlic cloves and zucchinis. Fry in a pan until they are ready. Add the tomatoes and cook for 10 minutes over medium heat. 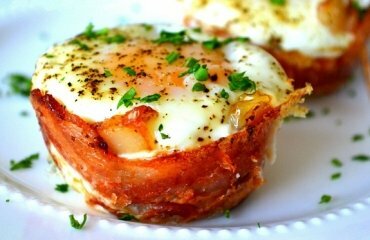 In a bowl, stir the eggs, add ricotta and 150 grams of Parmesan, season with salt and pepper. Preheat the oven to 200 C (375 F). 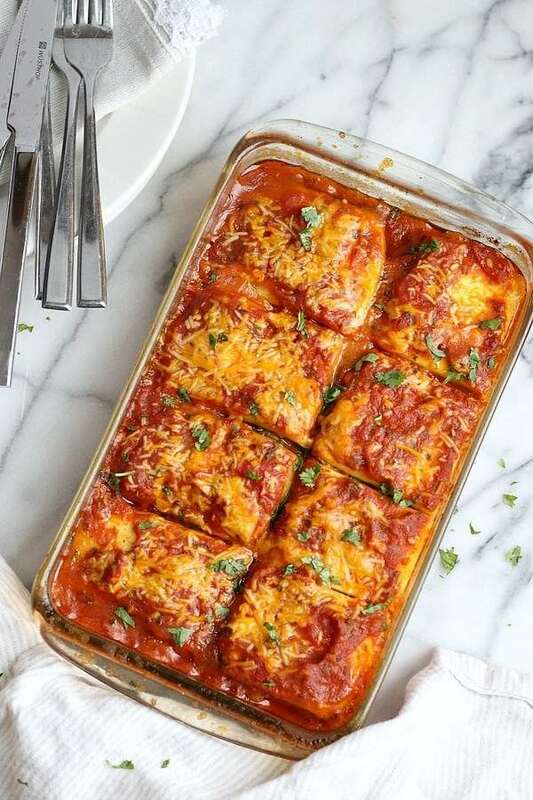 Assemble the lasagna – add some of the tomato sauce on the bottom of the dish, place the pasta sheets to create a layer and add spread 1/3 of the ricotta and egg mixture over the pasta sheets. Sprinkle 1/4 of the mozzarella and 1/4 of the remaining Parmesan. Repeat until you have 4 layers of pasta sheets and 3 layers of sauce. Finish with sauce and add a thin layer of shredded cheese. 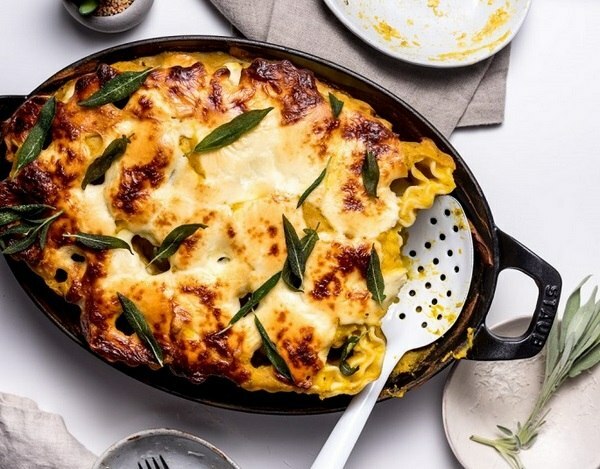 This is an incredibly delicious, creamy and cheesy lasagna that you will love from the first bite! Preheat your oven to 180 C (325 F). If you are using dry lasagna noodles, boil them according to package directions, drain, rinse with cold water, and set aside. Steam the kale for about one minute, remove it from the steaming pot and drain it. Steam the spinach in the steamer basket for about 30 seconds. Remove and drain. Wait until the greens are cool and squeeze out as much of the water as you can. Place the mushrooms in a large skillet over medium-high heat. Cook, stirring every now and then, until their juices have evaporated and add the cooking sherry. Wait until the sherry is almost evaporated, and then remove from the heat. Oil a baking dish. Line the bottom with a single layer of lasagna noodles. Spread about 1/3 of the ricotta mixture across them. Top with about 1/4 of the marinara, using the spoon to spread it out evenly. Add another layer of the noodles and repeat the layering, then repeat everything again. You should have 3 layers of noodles topped with filling. 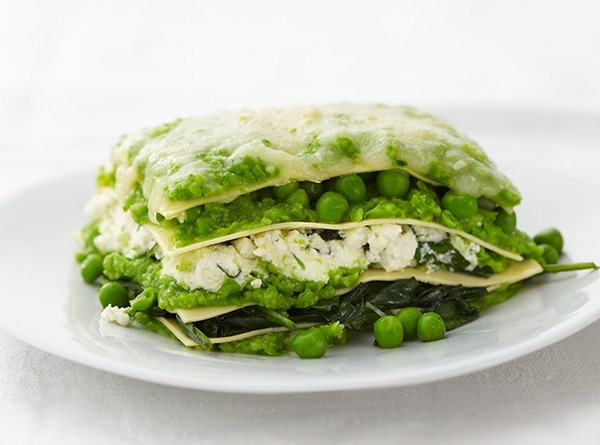 Vegetarian lasagna with Mascarpone, pesto sauce, spinach and green peas. Mascarpone can be replaced with another cream cheese or cottage cheese. 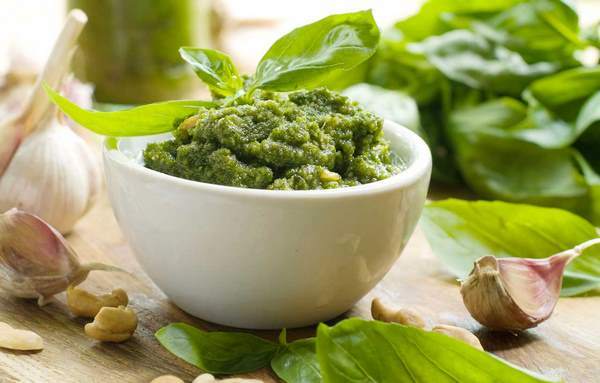 Mix the pesto sauce, half Mascarpone and 250 ml of water in a saucepan. Stir over medium heat until the mixture becomes homogeneous. Add spinach and peas; cook a few more minutes. Add basil and min and season to taste. Place a third of the mixture in a baking dish. Cover with 4 sheets of lasagna, and then make 2 more layers of sauce and lasagna sheets, ending with a layer of pasta. Mix the milk and the remaining Mascarpone cheese to the consistency of white sauce, season and pour over the top with lasagna. 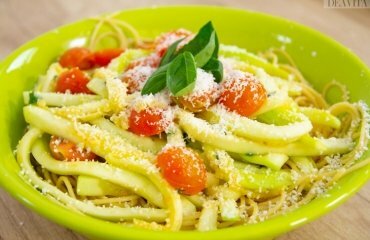 Sprinkle with Parmesan and pine nuts. 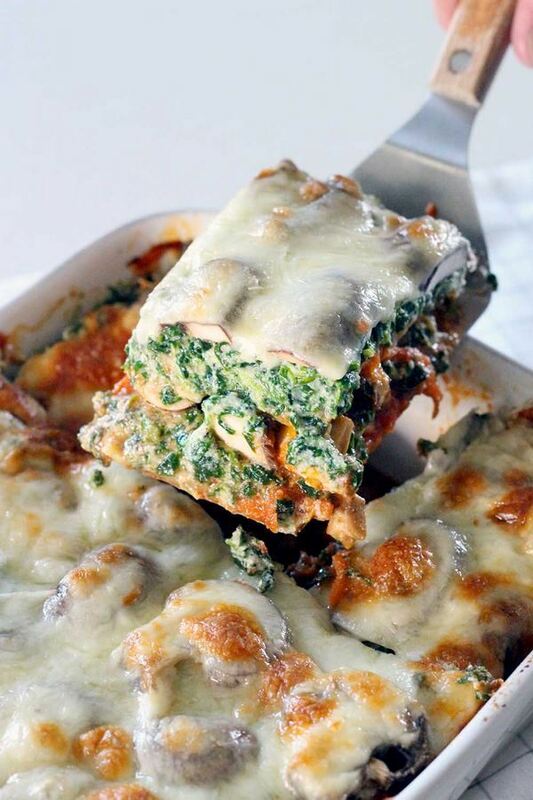 Decorate the lasagna with basil leaves.